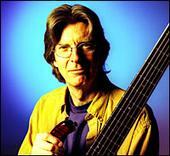 Download free music from Phil Lesh and Friends. Concerts in the Live Music Archive are available for download and streaming in formats including flac, mp3, and ogg vorbis. On October 12, 2004, we received confirmation for Phil Lesh & Friends shows to be hosted at the Archive. This covers only "Phil Lesh & Friends"-type material with Phil as bandleader, but does not cover any other material such as Phil guesting with another band. "I passed on the info.... they say that it is ok to do. "They strictly give permission for Phil & Friends music only and that permission should not in any way extend to any other music that Phil may have or will be a part of."